Rockland officials are trying to find a solution to parking and traffic concerns in the area along Pleasant Street that intersects with Main Street, where a new hotel opened earlier this year. 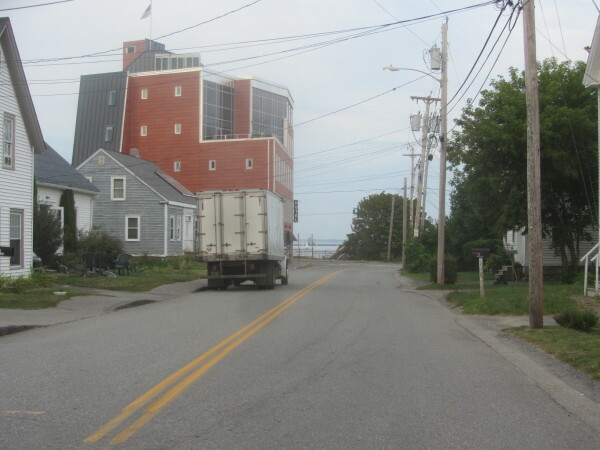 ROCKLAND, Maine — City officials are trying to deal with what business owners and neighborhood residents say is a dangerous situation for pedestrians and motorists in a downtown area that has seen recent development. “Now, it’s totally dangerous and unsafe,” said Sandra Dillon, who owns and operates Ripples Inn at the Harbor bed and breakfast on Pleasant Street, in a largely residential area that abuts the downtown commercial zone. Dillon was one of several neighborhood residents who attended a Wednesday afternoon meeting of Rockland’s Parking Advisory Committee. The residents say that vehicles are parking along the north side of the street, which forces cars into the oncoming lane. “People are risking their lives,” Dillon said of pedestrians walking along this street. The section of Pleasant Street that runs from Union Street to Main Street has become particularly congested and a concern since the construction of the five-story 250 Main hotel, according to neighbors. The Rockland City Council gave initial approval last month to prohibiting parking on the north side of Pleasant from Main to Union in addition to the existing ban on parking on the south side. The Parking Advisory Committee voted unanimously at its Wednesday meeting to support that additional parking restriction, which would eliminate space for about six vehicles. Councilors are scheduled to hold a public hearing and final vote on the measure at their Sept. 12 meeting. But some residents contended that the parking ban was not enough and suggested making that stretch of Pleasant Street a one-way route. Dillon said she would support that change. Taylor Corson, the manager of 250 Main, who also has been tapped to become a member of the parking committee, said she opposed taking away additional parking. Corson did not get to vote at the meeting because she has yet to be sworn in to her new post. The hotel manager agreed that the section of Pleasant Street should be changed to one-way traffic for safety. She said that one guest had had luggage struck by a car. Making it one way and creating wider sidewalks would make the street more pedestrian-friendly, she said. Resident David Myslabodski pointed out that the hotel’s lack of onsite parking was raised when the city reviewed and approved the project. Corson said that an off-site parking lot is being developed. The 25-vehicle lot is located behind Eastern Tire and would be accessed off Park Street, which is a commercial area.